Perhaps not the best image but useful as an example. The top two shots are resized straight from the camera JPGs. The bottom two shots are after "typical" levels and sharpening. 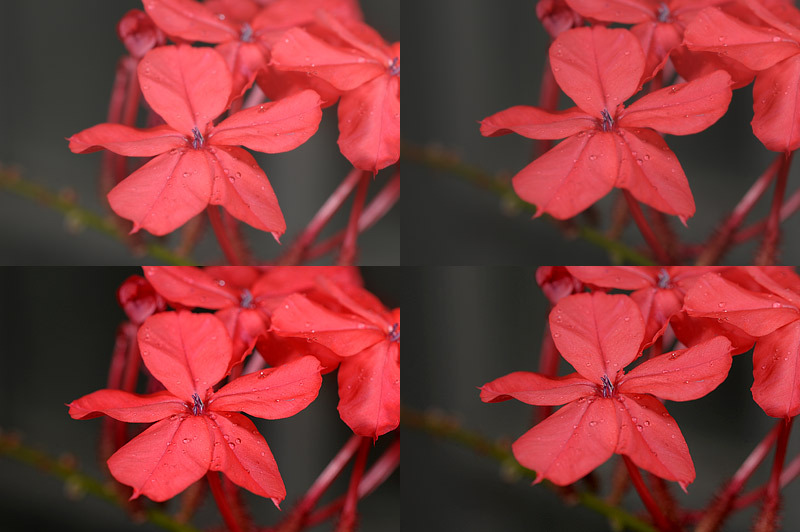 The left images may look OK but they are overexposed in the red channel. The right images are not overexposed. The left images have a little extra "punch" but are also lacking in detail. In most cases I prefer the more accurate, more detailed image; but this is not an easy trap to avoid, especially with strong red, yellow, or even blue in the image.